Joan Marcus Feeling the love: Jelani Remy stars as Simba in the national touring production of The Lion King, at the Fox Theatre through August 31. 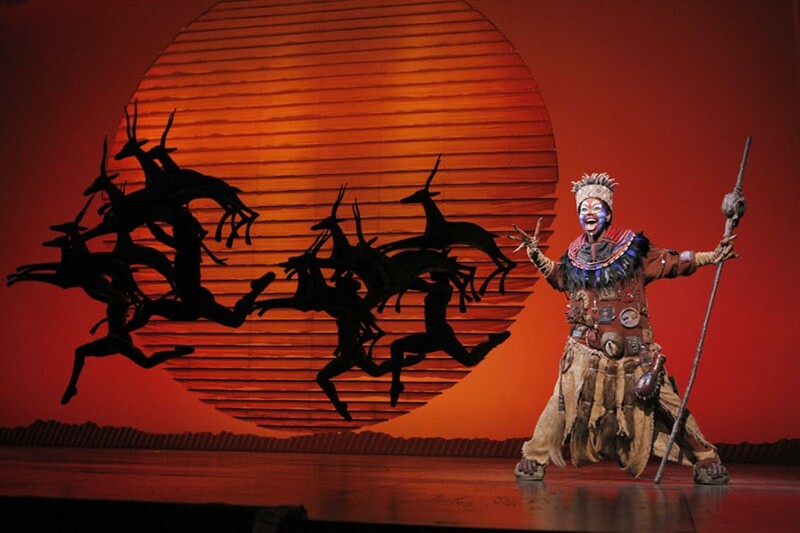 Joan Marcus Buyi Zama in The Lion King. 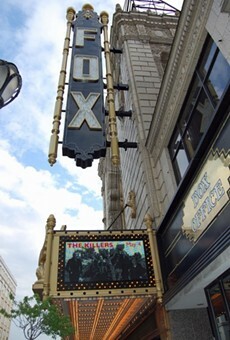 Through August 31 at the Fox Theatre, 527 North Grand Avenue. Tickets are $28 to $90. 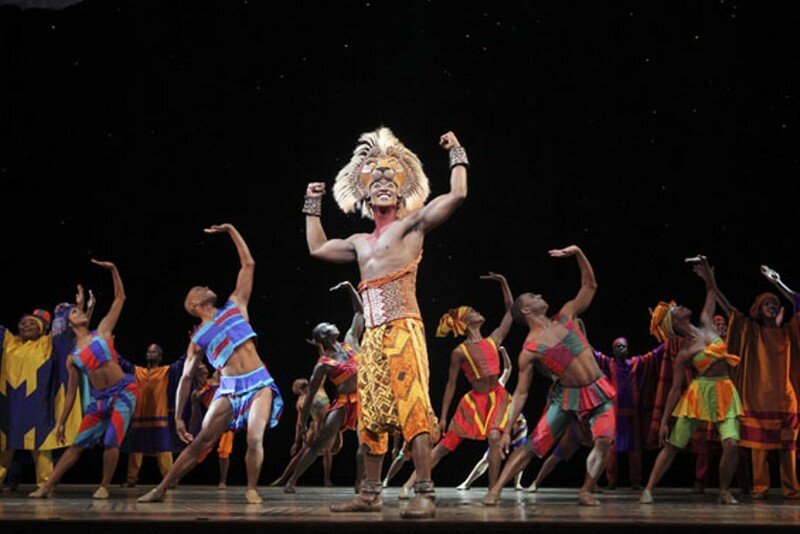 Just as tween heartthrob Jonathan Taylor Thomas and stage star Nathan Lane once educated generations of youngsters about the sad, beautiful reality of the "circle of life" through a Disney filter, Julie Taymor's Broadway adaptation of the 1994 animated film The Lion King still has plenty to teach the theater-consuming public. The scenes at the Fox Theatre pounce from ballet to performance art to musical to Nickelodeon kids' show and back again, enrapturing audience members young and old with the knowledge that anything can happen — even if you've long ago committed the dialogue to memory. In this familiar story, heavily influenced by both Hamlet and the biblical stories of Joseph and Moses, a lion cub named Simba flees home after his father, Mufasa, dies trying to rescue him from a destructive wildebeest stampede. What young Simba doesn't know then is that the death was no accident — rather, it was orchestrated by Scar, his uncle who prior to Simba's birth was heir to the throne. After learning of the devastation caused by Scar and his mangy hyena lackies, adult Simba returns to take the throne. The Broadway adaptation assembles this plot via many impeccable vignettes patched together with a few unfortunate cartoonish scenes pandering to children. But far more frequent moments of experiential wonder make the production something truly distinctive, something grand and worth navigating the crowd of adolescent patrons to witness. There's a reason Taymor's innovative costumes and sets are held in such high esteem: From the poles on which tethered birds swoop and rise as though in flight to the enormous pachyderms that galumph up the aisles, the artificial creatures are more than mere guise. The talented actor-puppeteers breathe life into them, masterfully imitating the leap of an antelope or the stalk of a cheetah as they dance across the stage. Some characters' faces are covered completely while others don masks that sit atop their heads (as many traditional African masks are meant to be worn), allowing them to convey a great range of feeling, despite their fixed expression. The lionesses' masks are at once blank and emotive, an effect that conveys placid content in good times and profound sorrow in bad. When mourning the king's death the lionesses' hands pull cascading blue ribbons from their eyes that eerily mimic tears. Later, as adult Simba debates his return to Pride Rock, artificial starlight shines on three-dimensional puzzle pieces in the sky, concocting an angelic likeness of Mufasa — an illusion that directly mimics the animation in the film and creates an absolutely magical effect on the stage. Compared to these entrancing moments of aesthetic beauty, live renditions of Elton John and Tim Rice's compositions ("Hakuna Matata," "Can You Feel the Love Tonight") are relatively lackluster. At the Fox, it's the standout performance of Rafiki, (the colorful baboon and spiritual leader portrayed by Buyi Zama) that steals the show with unparalleled vocals, mastery of bilingual dialogue and comic timing aided by the iconic walking-stick prop. Meanwhile, hooligan uncle Scar (Brent Harris) is outfitted with a particularly expressive mask that rests above his head or — with the arch of his back and quick downward jerk of his neck — drops to cover his face, forcing him to slink about the stage. The ensemble complements Scar's brooding, moving fluidly both as his hyena minions and as living manifestations of the grasslands (with massive headdresses topped with flowing stalks).